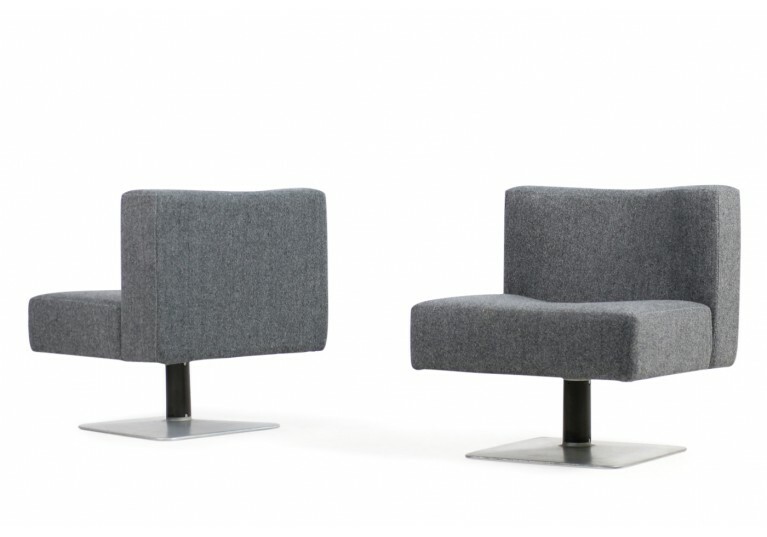 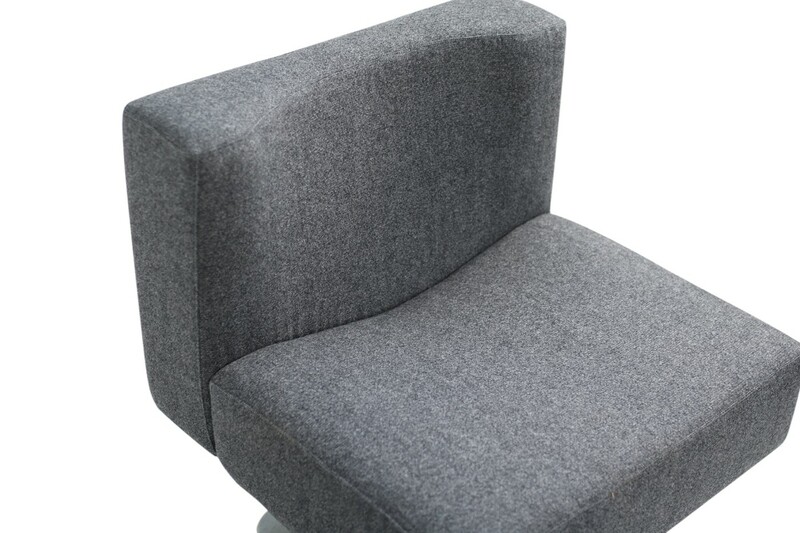 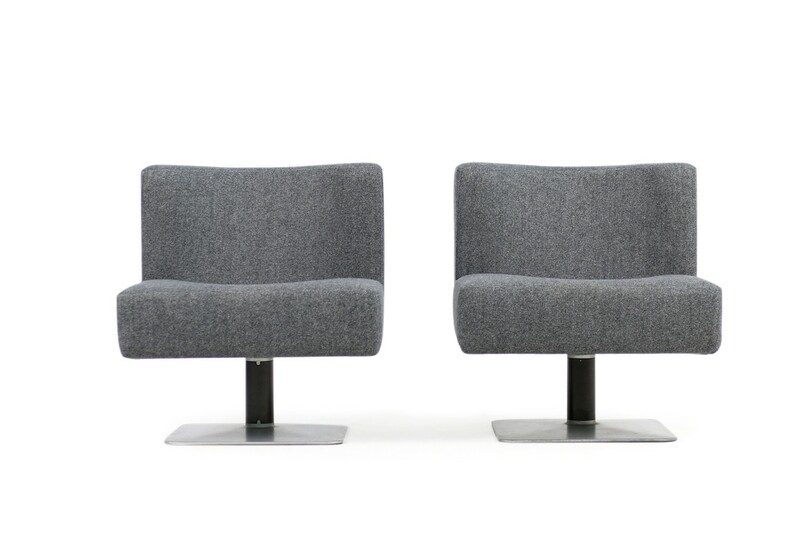 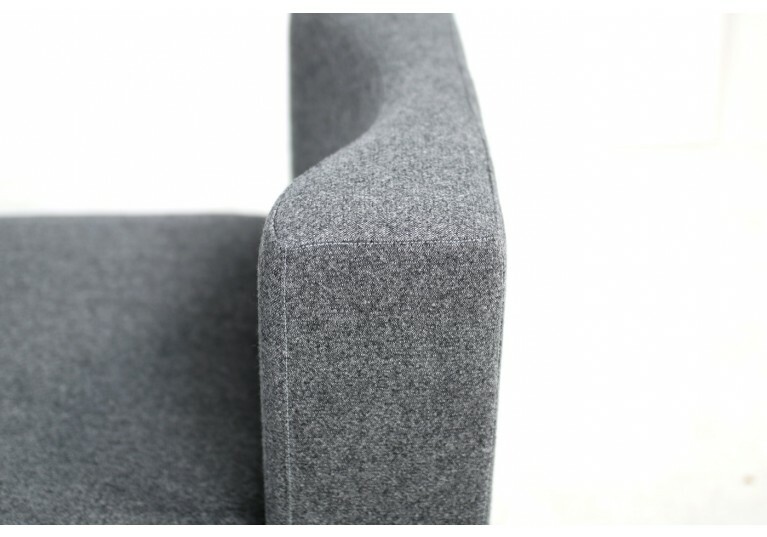 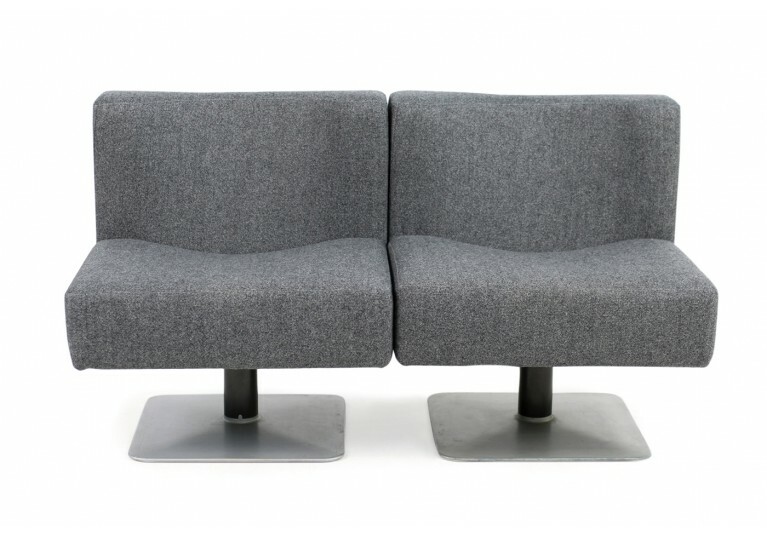 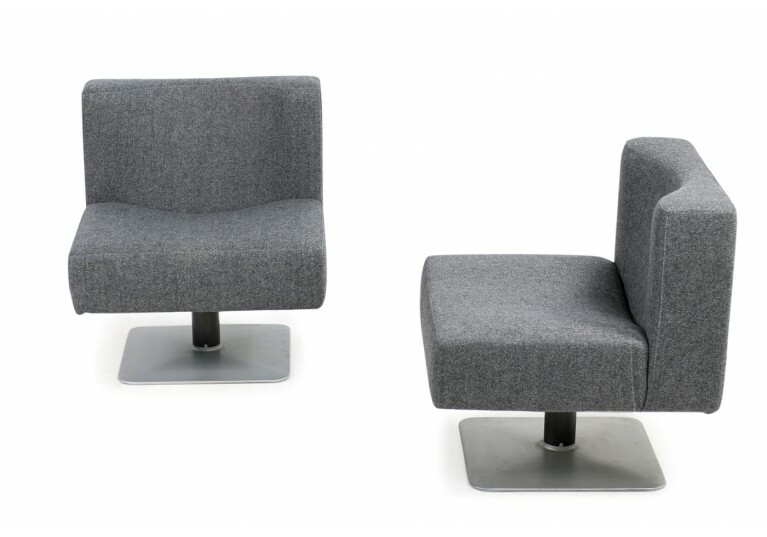 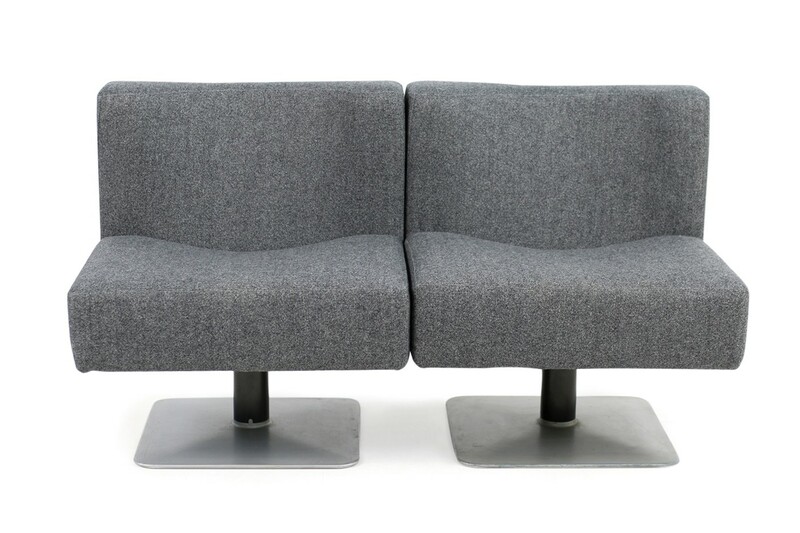 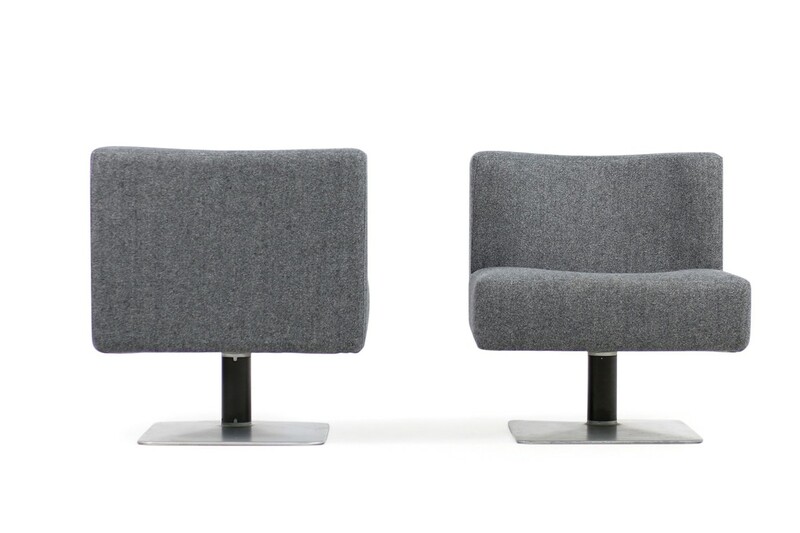 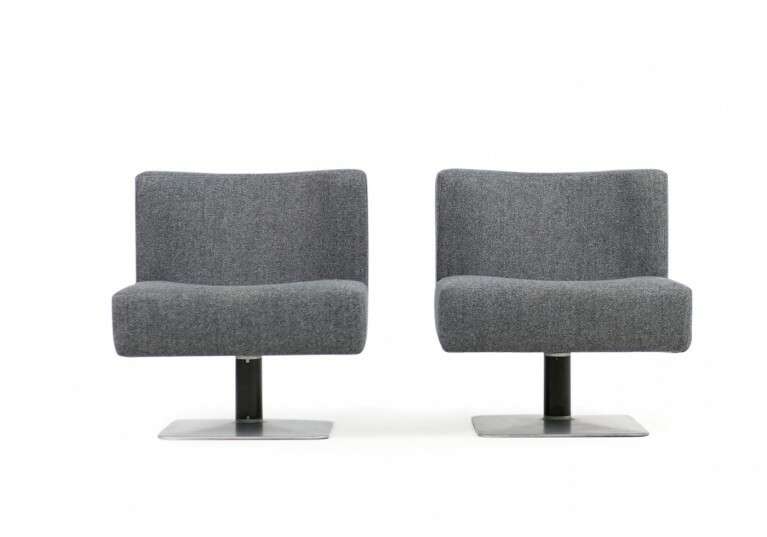 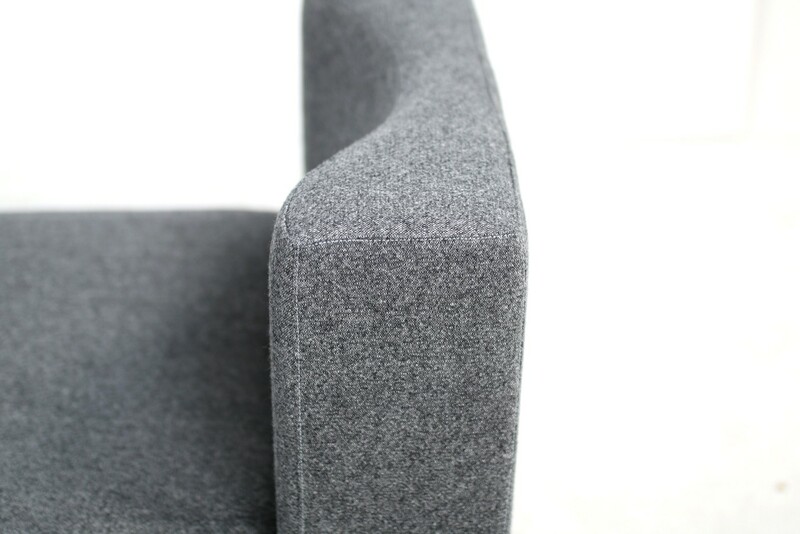 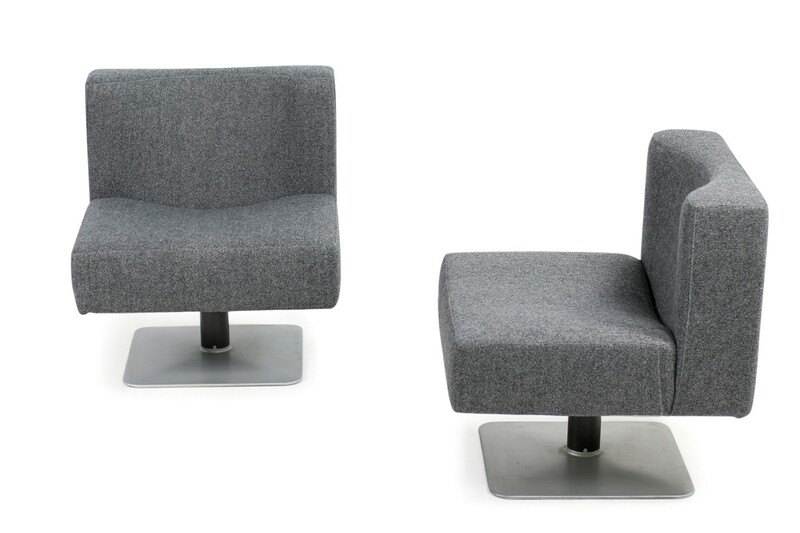 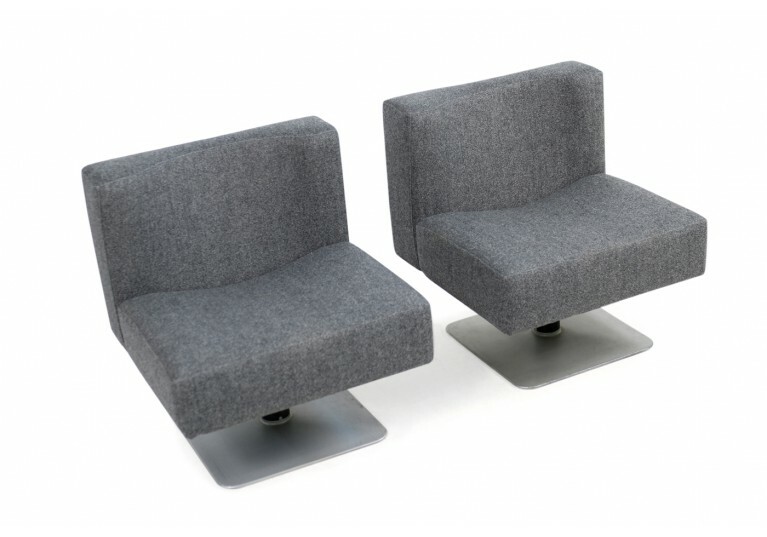 Beautiful pair of 1970s Herbert Hirche model 350 modular lounge chairs, made by Mauser Werke, circa 1974/1975 New upholstery and covered with grey wool woven fabric, metal and iron base, beautiful form and design. 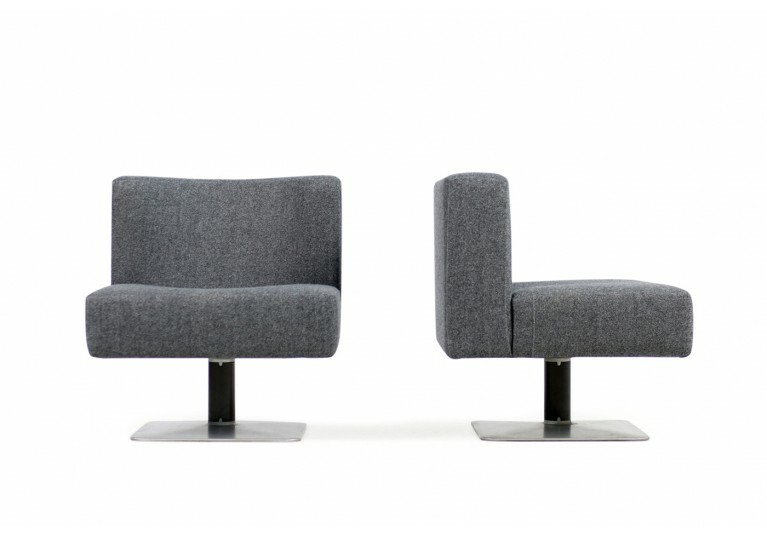 Each chair ca. 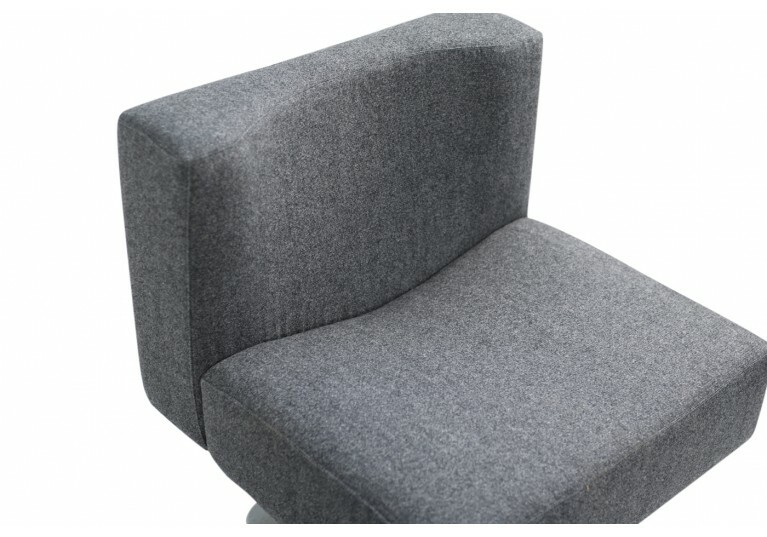 W 69cm x D 67cm x H 73cm, fantastic condition.